Tim is an outstanding human being first and a great business man second. He did a fantastic job repairing a bleach stain in my carpet. The attention to detail was impeccable. I greatly appreciate his professionalism and work ethic. Tim is a chemist, he’s not just going to pour a cleaning solution of your carpet to remove a stain. Tim is going to analyze your carpet and strategically apply the best method. RefreshColorCleaning- tinting carpet as we clean. along with top-of-the-line customer service to our customers. Revive Carpet Repair has fully qualified and experienced carpet technicians who are expertly trained and bonded, drug tested and background checked. We resolve your carpet repair needs, making your home cleaner, more valuable, more aesthetically pleasing and more comfortable. We also restore and revive your home with the latest in carpet cleaning, carpet dyeing, carpet repair and rug repair services. Whatever your carpet service needs are, call Revive Carpet Repair today! 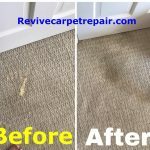 Revive Carpet Repair is a licensed carpet repair los angeles services company where on-time, prompt, professional and courteous services are a way of life. We offer wide ranging carpet and rug cleaning and repair services throughout All of LA & Ventura Counties and the neighboring areas. 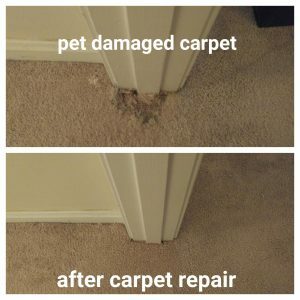 As carpet and rug cleaning and repair experts, Revive Carpet Repair offers peace of mind and evokes trust in the minds of consumers who are seeking prompt and efficient carpet cleaning and repair services. Since 1988, our customers know they can trust us completely to do any work right the first-time round. We will never give you a reason to complain or be dissatisfied with the work we do. In fact, customer service is integral to our business philosophy and this has garnered us an impeccable reputation in the All of LA & Ventura Counties, Riverside County, San Bernardino County, Santa Barbara County, North County & San Diego County areas. What is High Quality Carpet Cleaning? High quality carpet cleaning is ultimately defined as being able to restore or clean carpet and return it to its natural luster and pre-soiled restored state. There are 2 enemies to this: (1) Not using the right Chemicals, Heat, Agitation & process & (2) LEAVING TOO MUCH SOAP, CLEANING AGENTS IN THE CARPET! Soap is more of an enemy than the soil is. This is because soaps and detergents are electrically charged to ATTRACT dirt! Resoiling quickly and prematurely are the end result. Revive Carpet Cleaning are EXPERTS in carpet cleaning. We are IICRC certified trained as well as having our masters in advanced fiber identification, cleaning & repair. We DO NOT USE THE SOAPS THAT OTHER CARPET CLEANERS USE. OUR CLEANING LEAVES NO RESIDUE IN YOUR CARPETS! This is because we use a special chemical to strip, clean the carpet dye sites. It has a PH of 1, it is totally safe to infants & animals as well as allergy sufferers as well as to our wonderful environment. Our chemical has no odor and leaves no residue thus cleaning your carpet the most effectively. You wont believe it. Don't believe us? Watch us put some on your worst stain and watch the stain disappear! There are many reasons to make Revive Carpet Repair your go-to Carpet services expert in All of LA & Ventura Counties, CA. Besides guaranteeing 100 per cent customer satisfaction, we epitomize dependability. Our customers know that when they use our services, we endeavor to resolve their carpet problems in quick-time. This has made us a household name in All of LA & Ventura Counties and helped us forge long-term relationships with our residential and commercial customers. We handle all kinds of carpet cleaning and repair jobs, from providing estimates to providing any carpet cleaning and carpet repair that you may need. We adhere stringently to standard and practices set forth by the IICRC (Carpet Cleaning Repair Installation Certifications Organization) to make sure you never fall into any problem in the future. 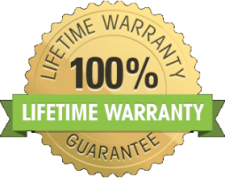 Our in-house technicians are certified and trained. They are up-to-date with the latest training and techniques and the necessary procedures to carry out all carpet cleaning and carpet repair work seamlessly. We offer our customers same day emergency services should the need arise. We have multiple trucks to service multiple customers simultaneously. Our trucks are completely equipped and stocked with the latest tools, equipment and materials to ensure we complete any assignment quickly- no need to come back. We give our customers peace of mind when they need it most. Our services are hassle-free and we boast a quick turnaround time, the same day. We stand behind our work and offer you an ironclad “Revive Carpet Repair’ guarantee” for our labor and quality of work. We offer our customers tips on how to extend the life of their carpet. Revive Carpet Repair Los Angeles is renowned for going beyond the call of duty. That is why we help our customers over the phone if they have any doubts or questions. We offer this service free-of-charge. Whenever you call our office, you will always speak to the owner, who is certified, and who will guide you correctly. It is prudent to remember that the IICRC has very specific regulations and our carpet technicians are trained to follow them stringently. We will always give you expert opinion supported by the right knowledge so that you can make an informed decision. We do not apply pressure to force you to hire our services and this relaxes you sufficiently to see the true picture and decide according. So give us a call today at (310) 736-2018, you'll be glad you did! #1 Carpet Dyeing Company Serving Los Angeles County, Orange County, Santa Barbara County, Ventura County, Riverside County, San Bernardino County, & San Diego County. Do you need an expert carpet dyeing los angeles company? Perhaps you need bleach spot repair? We are experts in carpet dyeing, bleach spot repair, full room carpet dyeing and tough stain removal such as red stains, vomit, pet urine and other tough stains. Los Angeles is the 2nd largest city in America and the largest city in its home state of California. LA has a plethora of sun throughout the year and only about 33 days of rain per year. The Temperatures go above 91°F (32 °C) for about 15 days a year, usually in August, July & September as well as 10 days between May, June, November and April. Los Angeles was settled by 2 tribes, the Tongva and the Chumash tribes before the western europeans settled there. One of the most significant events in Los Angeles's history include Juan Rodriguez Cabrillo claiming this area of southern california for Spain in 1542. Spain was militarily colonizing as they moved north along the pacific coast from central and south america. Cabrillo led official military exploration and claimed los angeles. These beaches have world class views as well as surfing and just relaxing and people watching. Additionally, the city of Los Angeles covers a total square mile area of over 502 square miles, including 468 square miles of earth and 34 square miles of water and ocean. The actual city of Los angeles is over 70 kilometers long and over 46 kilometers latitudinally.Los Angeles' population as of 2010 census was 3,792,621. The racial and ethnic diversity as of the census was 11.3% Asian, 48.5% Hispanic, 9.6% African American & 28.7% Caucasian. Also, LA is home to over 140 countries of peoples speaking over 223 different languages. Of course, there is so much to do in los angeles. LA is 2.5 hours from the mountains where one can ski or snowboard, close to many world class beaches. LA is home to big world class attractions such as Universal Studios Hollywood, the Hollywood Walk of Fame, the Hollywood Sign, atop of Mount Lee since 1923, the iconic Santa Monica Pier, popular for its landmark ending of route 66 as well as rides and restaurants. Los Angeles is well known for its love of the arts & theatre, boasting museums like the Getty museum, Getty Villa & the Museum of Modern Arts, Los Angeles County Museum of Art just to name a few. Also, LA has just been awarded its host city of the Olympics in 2028. It has hosted the olympics 2 times, in 1932 & 1984. Additionally, Lebron James, one of the best basketball player in the world, just signed with the Lakers.